Washington: American delivery giant UPS on Tuesday launched the first authorised use of unmanned drones to transport packages to recipients. The company said the shipment of medical samples at the WakeMed hospital campus in Raleigh, North Carolina was the first of "numerous planned daily revenue flights." 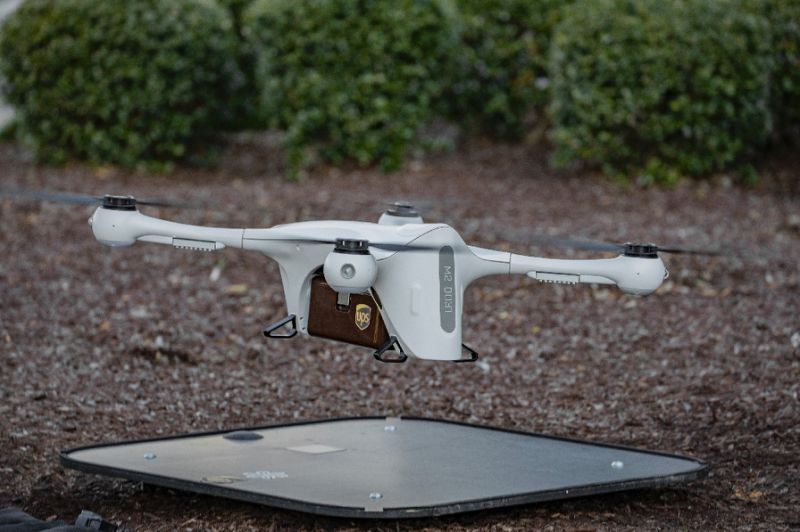 UPS has teamed up with Matternet, which makes autonomous drones and already has operations in Switzerland, for the same-day delivery service, the company said in a statement. The company called the inaugural flight "a major milestone for unmanned aviation in the United States." It will provide "the ability to avoid roadway delays, increase medical delivery efficiency, lower costs and improve the patient experience with potentially life-saving benefits," the company added. Currently, the only option is through traditional courier service. "Drone transport will improve speed of deliveries at a lower cost, enhance access to care and create healthier communities," WakeMed President Donald Gintzig said. The Federal Aviation Administration and North Carolina's Department of Transportation both approved and oversee the drone service, following test flights last year.